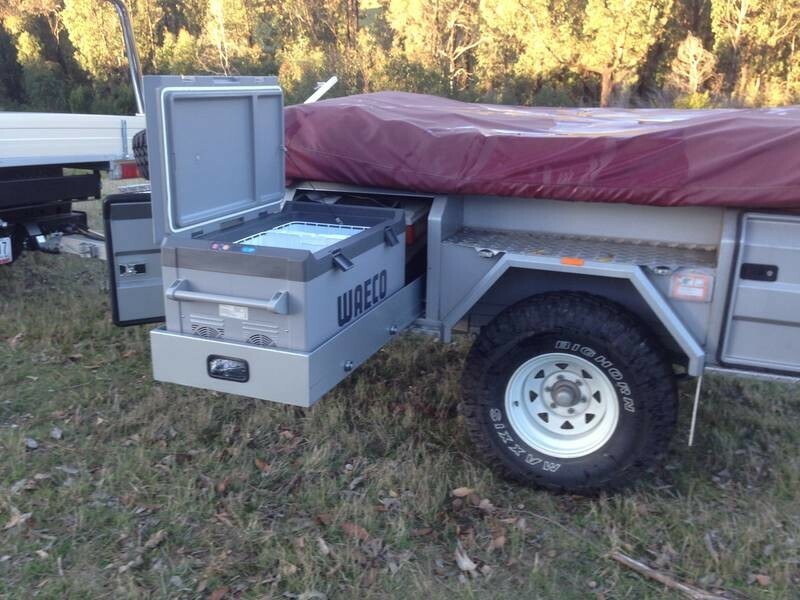 Here's my review and build thread for our 2011 Johnno's Evolution soft top offroad camper trailer. Take note, it'll be photo heavy. We saw an Evolution at a show in Sydney and liked it enough to buy one but as we could not get any response from any of the Johnno's franchisees near Sydney, we bought this one 2nd hand instead with almost no miles on it. * The trailer has fully enclosed sides with lockers everywhere. * Full width fridge slide that can take an 80L fridge. 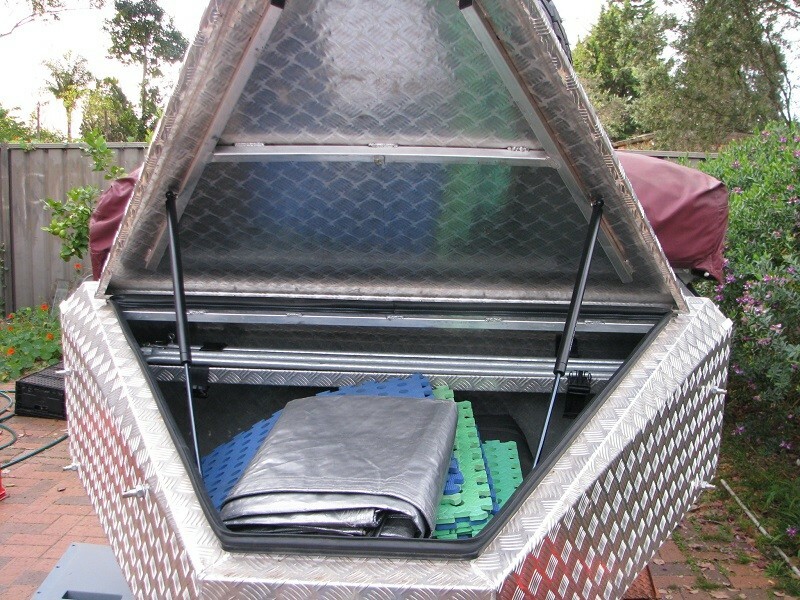 * Two independent under slung water tanks holding some 60 litres each. * 9 leaf suspension with 10" electric brakes. 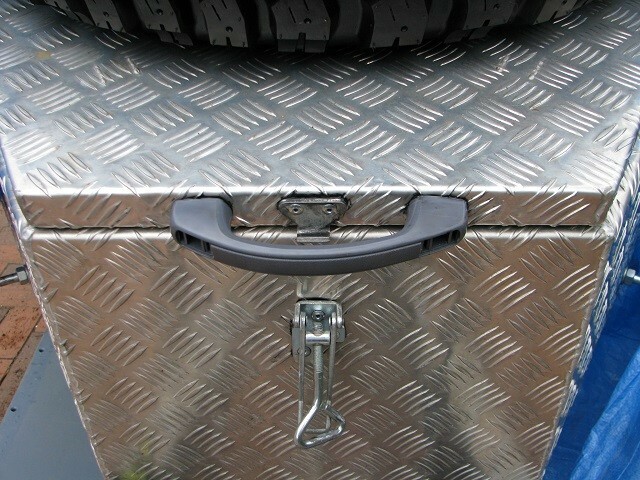 * Aluminium nose cone storage box with Maxtrax bolted to the outside. The tent poles store inside the nose. * Hyland offroad ball coupling. 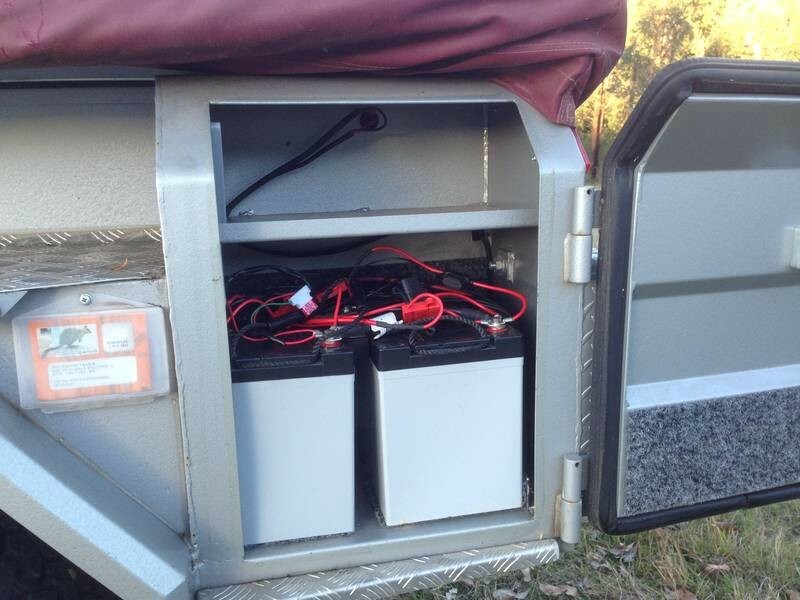 * 2 x AGM batteries. * Stainless kitchen with wok burner, spice rack and gas oven/griller. * Coleman hot water system with shower. * Maxxis Bighorn tyres on 16" Sunraysia rims with Toyota 6 stud pattern. 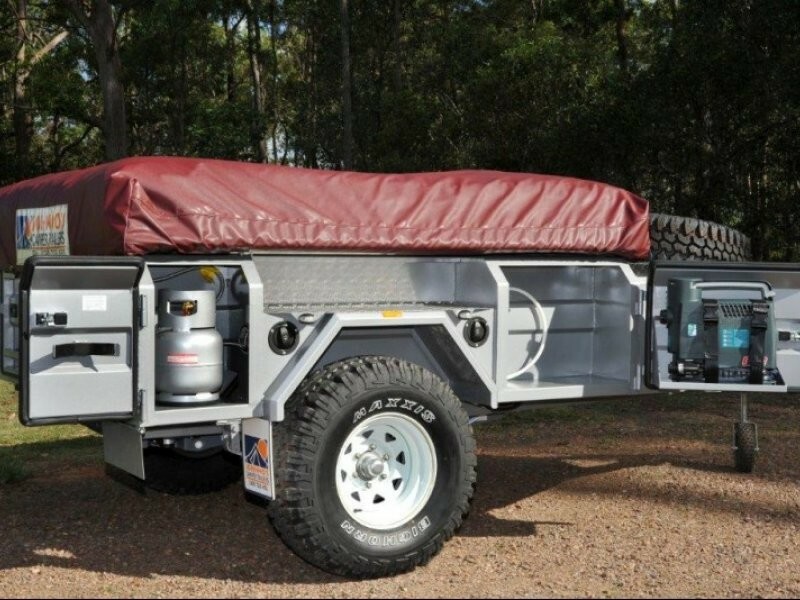 As it comes, its a pretty good trailer but as we soon found, there were a lot of shortcuts taken in the Johnno's factory, a few of these are potentially life threatening in an outback situation. More on this later. We've only been away in it once so far but the tent is a dream to put up with only the furthest out internal poles needing to be adjusted, all the rest are locked off so you just drag out the tent and its pretty much done. That takes maybe 2 minutes. Then you have to drag over the awning which requires an extended tent pole to fish it over the tent top as its quite high up. 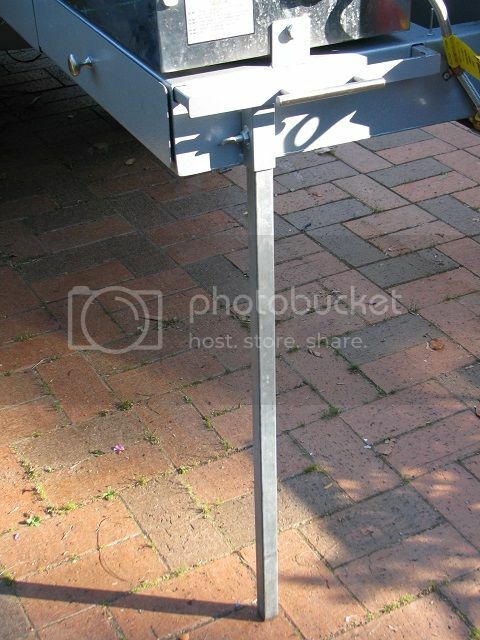 Clever use of tent pole spreaders minimise the number required to support the awning. We have the full awning walls and found them easy to put up and very useful in the middle of winter. 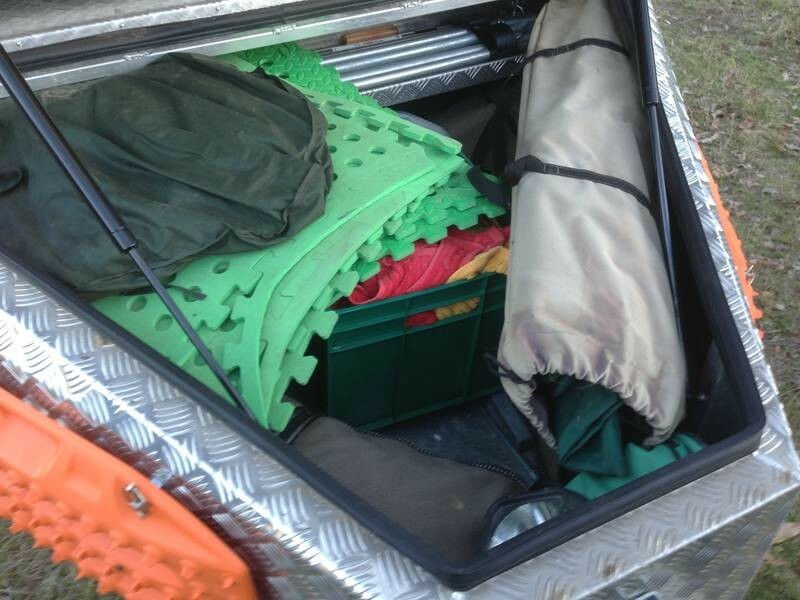 We'll probably have to buy the fly screens for summer camping in the outback. Packing it up again takes a bit longer but is still pretty quick at 5-10 minutes. The longest time is spent dragging the awning back over the tent to store it all again. Looks like we deleted the pics of the tent set-up so more pics soon. Last edited by WomblingFree on August 14th, 2017, 3:39 pm, edited 5 times in total. Our first negative discovery was in the kitchen. 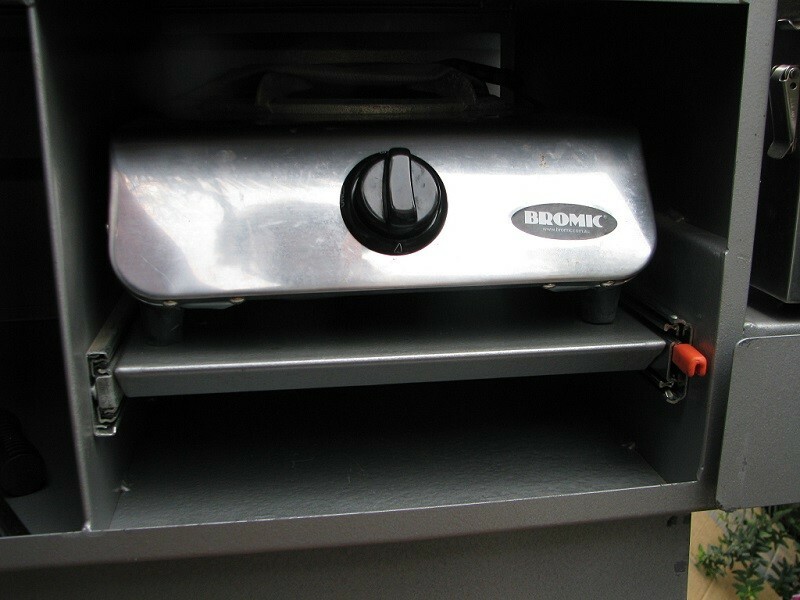 The big wok burner sits on non-locking drawer sliders. Absolutely stupid idea that! If you lean against the shelf whilst you have a pot of water boiling, the shelf slides back into the cabinet potentially dumping the pot and its contents all over you. We swapped out the right hand slider for one that locks both in and out. Much better. A bonus is that this will also remove wok drawer bounce whilst driving. Last edited by WomblingFree on August 14th, 2017, 3:40 pm, edited 2 times in total. The second mod was to get rid of the Hyland tow ball coupling. I'm not a fan of these with internet reports of things coming undone so it was replaced with an OzHitch of which I'm a major fan. 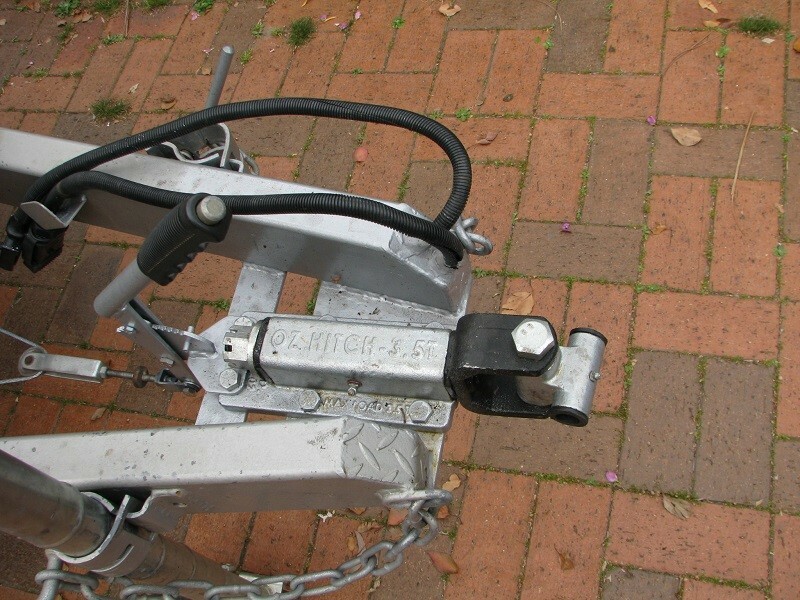 A bonus is that It also makes the trailer a bit harder to steal without a ball or Treg coupling. 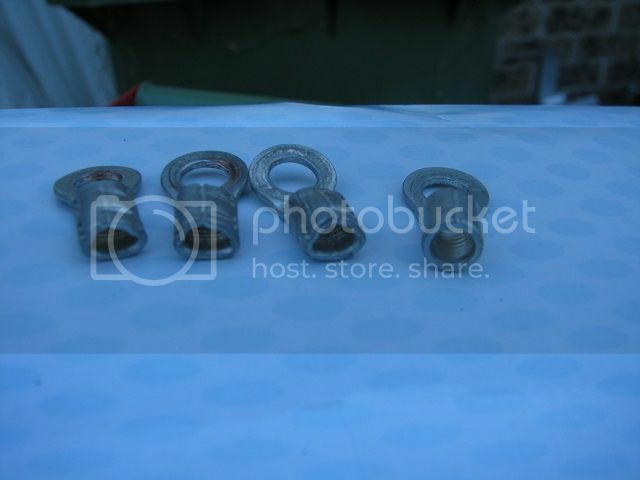 Unfortunately the 'universal mounting' bolt patterns on both hitches did not line up. That required some holes to be filled in and new ones drilled. 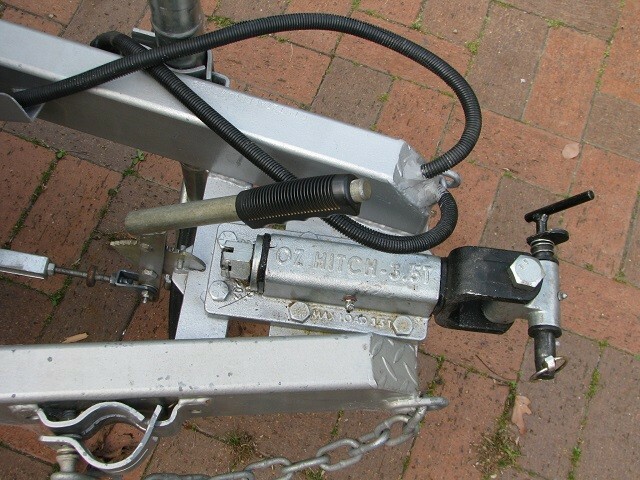 I stripped and painted the handbrake lever, fitted stainless nuts and bolts then relocated it to the top of the hitch. Well worth the effort and I'm very happy with the result. You can see I had to grind away a bit of the lever mounting plate. It fouled the castle nuts rotation by about 0.5mm. Whilst I had the welder here, I took the opportunity to have several stainless tie-down hooks welded on. 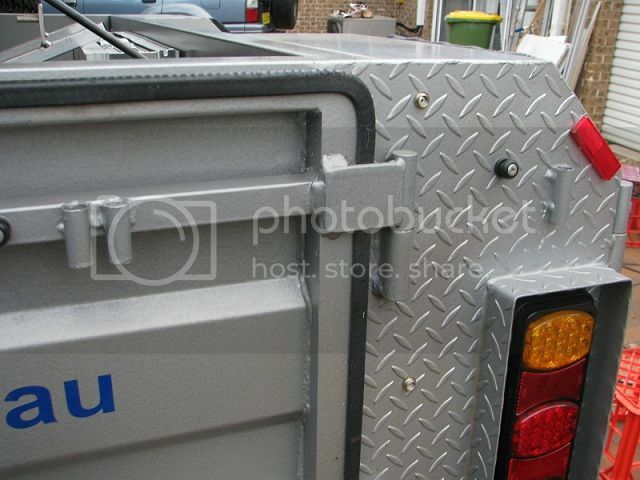 I've had problems in the past with other campers where the tonneau cover flaps in the breeze behind the truck so I like to throw a ratchet strap or two over the cover. Flapping tonneau's are rather distracting in the rear view mirror. 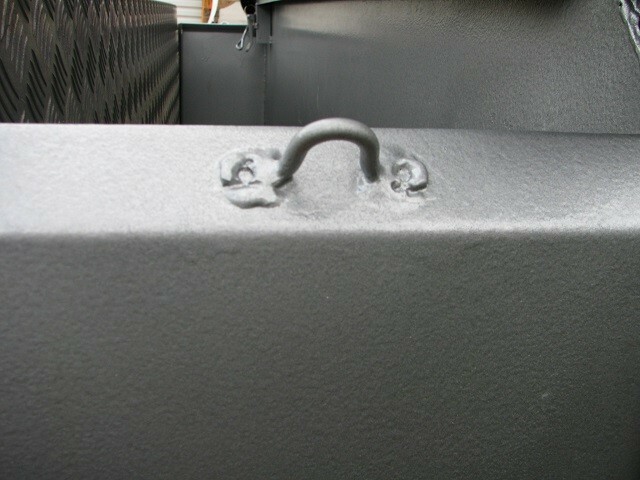 I can also tie things to the top of the camper now as well as lash down whatever is in the wood / jerry can box. Last edited by WomblingFree on August 14th, 2017, 3:49 pm, edited 1 time in total. 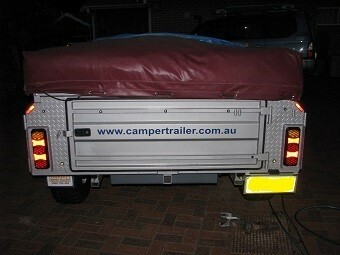 Our third mod was to remove the Johnno's banner from the rear of the tonneau cover. 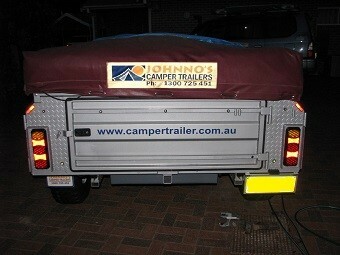 The wife and I found this banner to be a bit embarrassing and felt it just cheapened the trailer a bit so off it came. Plenty of other advertising left on mudflaps etc. Last edited by WomblingFree on August 14th, 2017, 3:58 pm, edited 2 times in total. I wouldn't mind the advertising if it was tasteful logo but its rather tacky and large. Not exactly becoming on a $25K camper. Do you also own a Johnno's? Swapped out the gas struts in the nose cone. The originals are rated at 600nm each and were extremely hard to compress, even with the weight of the heavy spare wheel mounted on top. Without the wheel mounted, you could see the lid starting to fold as you attempted to close it. I removed one strut to see how the remaining one handled the weight. Seemed about perfect, so two 300nm replacement struts were ordered off Ebay. 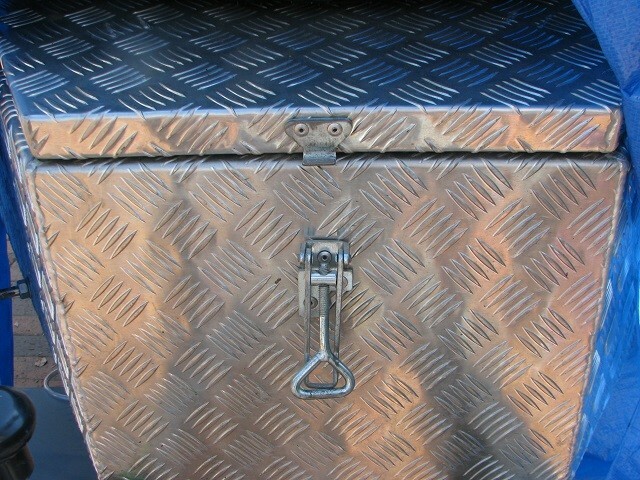 The weaker struts made a huge difference with the lid opening and closing easily, even with no spare wheel mounted. Why Johnnos fit 600nm struts is anyone's guess. Whilst changing the struts, I took the opportunity to add some welds to the aluminium lid to strengthen it up a bit and stop the top plate rattling. Thats a damned heavy wheel up there. The welds made the lid a lot more rigid and it doesn't feel so much like its going to fold now. Last edited by WomblingFree on August 14th, 2017, 4:03 pm, edited 1 time in total. That an awesome trailer you picked up there...My wife and I looked at this model while we were chasing ideas for a trailer. Well set up kitchen and storage areas. Yeah, well as you read through the coming updates, you'll see that there's a lot of Johnnos hype that is badly let down by corner cutting and poor quality workmanship. We bought it with stars in our eyes and it was quite disappointing to start finding all the bad bits that we have discovered. I can see that these are built mainly for the Johnnos rental market and they seem to be turned over by the franchisees every year or so. I doubt they hang onto one long enough to see the results of the corner cutting. Having said that, we are quite happy with what we will have at the end of this story but I don't know if I'd buy one again. Whilst changing over the gas struts, I noticed that the nose latch assembly is working loose. Its all just riveted on with no washers fitted to the rear of the rivet to prevent their pulling through the aluminium plate so of course the rivets are going to loosen up pretty quickly. Doh! Don't they teach anything in school these days? Riveted the latch back on with a layer of Sikaflex between it and the aluminium as well as placing stainless washers over the new rivets. Should last a bit longer now and hopefully the mild steel latch wont corrode the aluminium. Whilst mucking about up front, I've also mounted a handle on the front of the lid to aid opening and closing. Its the inside handle from my Prado's rear door, left over from building a drop table, and gives lots of finger room without skin hitting the latch metalwork. More Sikaflex and some stainless bolts with nylock nuts. If it comes lose, I'll find a suitable aluminium handle and have it welded on permanently. Last edited by WomblingFree on August 14th, 2017, 4:08 pm, edited 1 time in total. 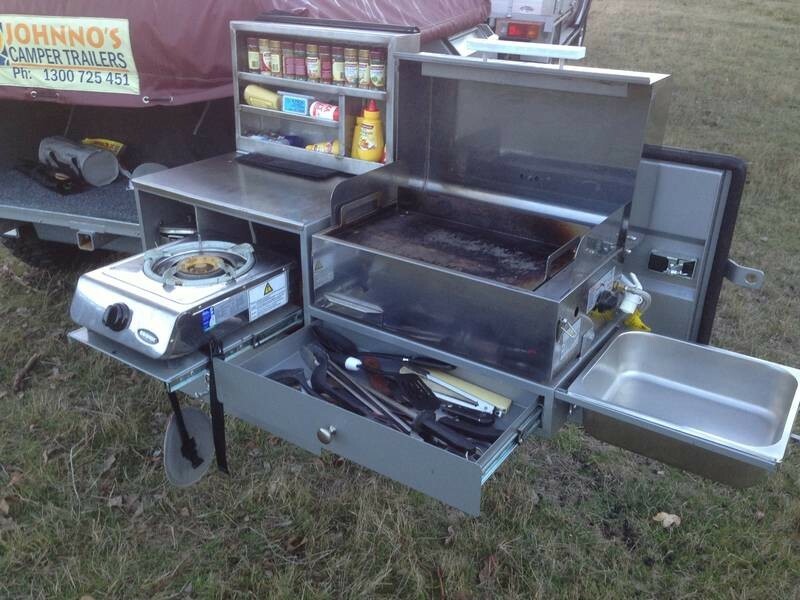 Another annoying thing about the kitchen is the lack of any way to effectively lock the tailgate open. There is an adjustable vertical leg on the kitchen that you slide up & down, and lock with a screw, to achieve stability but we found it slides around on grass mats to the point of being totally useless. The kitchen moves away from you whilst you are cooking so could be a bit of a hazard. 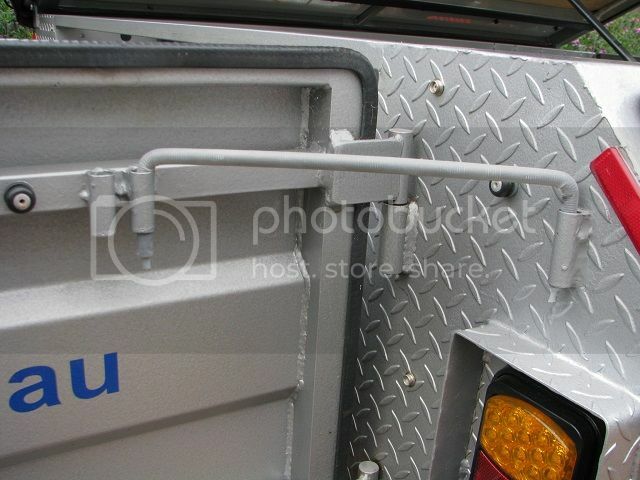 I welded some little tubes to the tailgate and the rear panel of the trailer so I can drop in a 'U' shaped bar to keep the tailgate open at one of two set points. The tubes are 1.6mm mild steel, all I had lying around, and the bar is just galvanised threaded rod with several layers of heat shrink over the top. 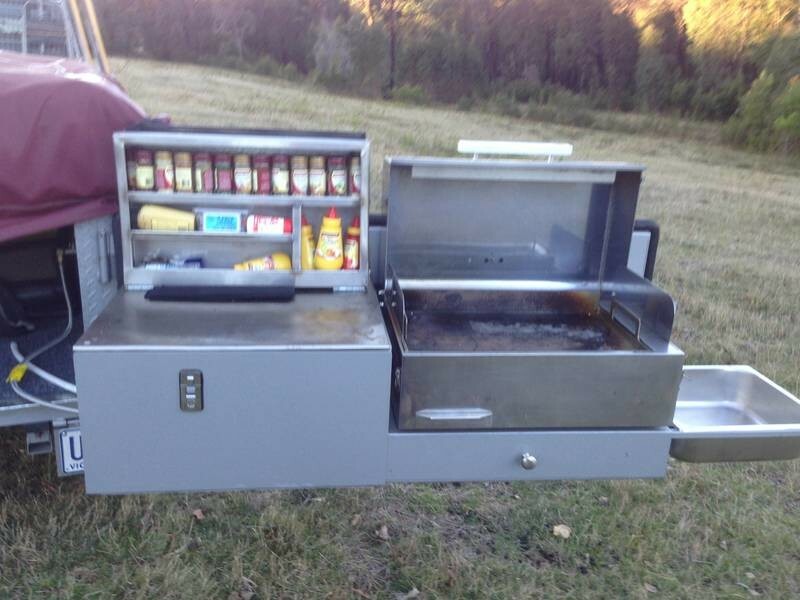 There's two tubes on the tailgate to allow some choice in kitchen location. 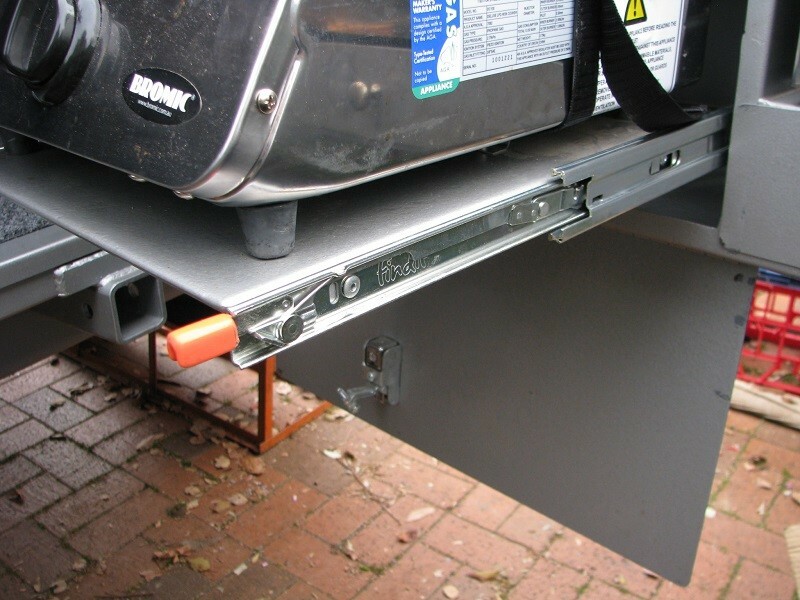 One tube holds the tailgate at 90 degrees with the kitchen parallel to the side of the awning, whilst the other tube gives about 100 degrees and puts the end of the kitchen against the awning flap. This mod works really well but the tailgate leverage could buckle the rod or maybe rip off a tube it if we aren't careful. I could have made the rod longer which would have negated this possibility but I want to move the spare wheel onto the tailgate one day and the rod would have fouled the wheel. Where they are now should just clear the wheel. Next we turned our attention to the trailers electrics which turned out to be a giant can of worms. This started out with my wanting to re-align the various switches which were twisted and pointing all over the place. I quickly discovered that the monkeys who drilled the holes for the switches did not actually use a large drill bit or hole saw as none of the holes are circular. That explained why the switches flopped around so readily. Removing the switches so I could apply silicon to hold them in place revealed two more problems. * Wires fell out of the appallingly crimped electrical connectors. This is when the can of worms was opened. 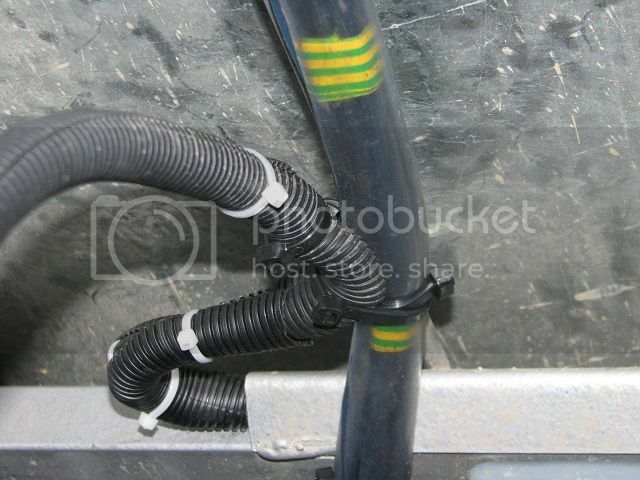 A thorough inspection of the trailer and all wiring showed that out of all the cable holes, only one had been sleeved to prevent the associated cable rubbing against the metalwork. That one is in the floor of the main tub where the fridge cable enters the tub from below. However, although sleeved with a rubber grommet, the hole is so big, and the grommet such a sloppy fit, that it became a water ingress point for river crossings so it will eventually be covered in mastic and silicon. All other cables and pipes simply rub against the sharp sides of metalwork and a lot of cable abrasion was evident. It also seems that Johnnos had run out of the correct size crimp terminals for the wiring so the installer had cut away half of the cables copper strands so he could stuff it into the next size down crimp. Well done that man! he deserves a promotion and a pay rise. This pic is from one of the water pump power feeds but is a perfect example of how all this type of crimp was done. 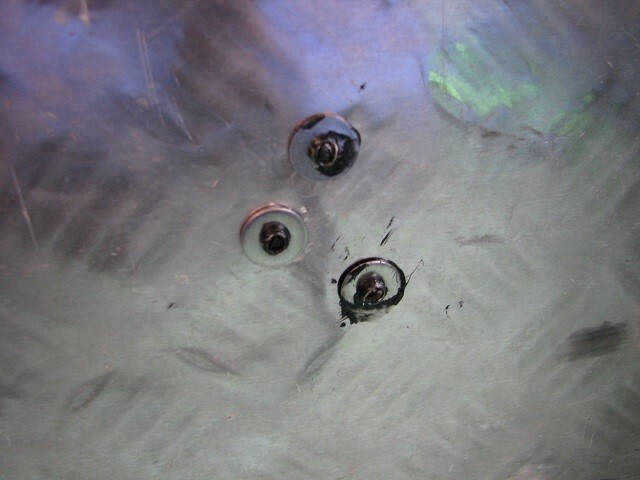 Some of the terminals on the battery posts had never been crimped at all. Absolutely amazing that the wiring had remained connected. With trembling hands, these discoveries led me to open and inspect some of the inline cable joints. 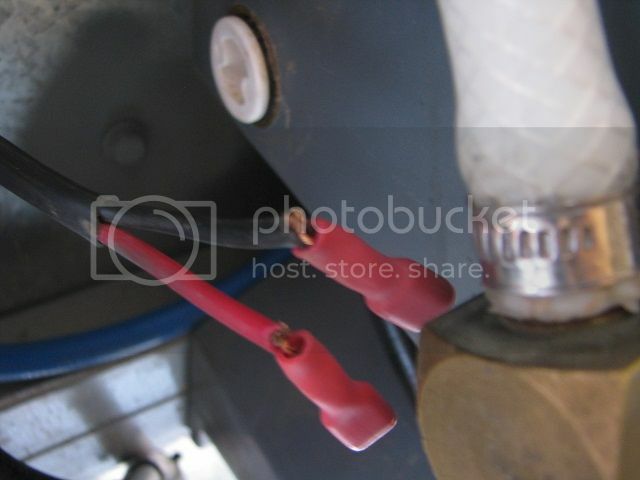 I've owned a well known brand, cheap Chinese camper that I had to completely re-wire due to crap cabling and I'm hoping I won't have to do that again... but unfortunately Johnnos do not appear to have a real automotive electrician on staff and the cable joints are absolutely appalling. I take the decision to strip out and replace all cabling, paint and sleeve all holes, fit some reversing lights, add some new circuits, circuit breakers and build a distribution board. In short a total, ground up, electrical rebuild. There are not too many photos here as I was so disgusted and intent on sorting things out quickly that I forgot to take pics as I ripped it all out but here's a pic of some of the crimps that fell off cables and one of the several that never got to see a crimp tool. This what happens when you use pliers instead of a real crimping tool. Last edited by WomblingFree on August 6th, 2014, 3:48 pm, edited 1 time in total. 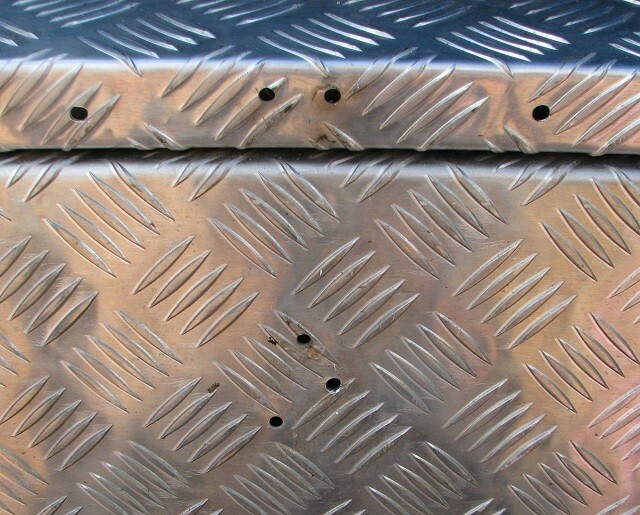 After stripping every cable from the camper, I started out enlarging the holes as required and then fitted grommets and bushes to the holes . Here's a typical bushing installed. You can get these from Bunnings or any electrical wholesaler. 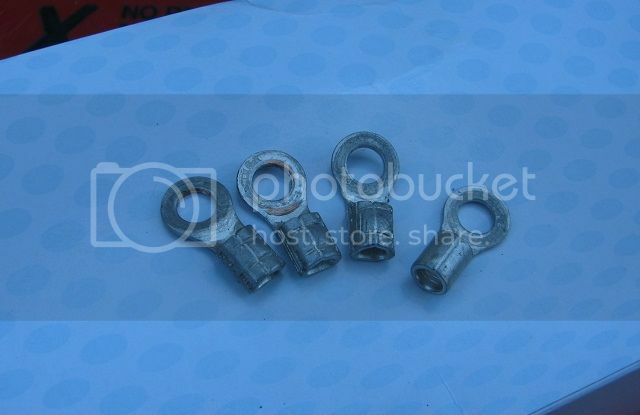 They come in a variety of sizes and are typically used in electrical switchboards to do exactly this job. Johnnos pay attention! 1/ The cable to the electric brakes was upgraded from a 10B&S to a 8B&S (smaller number is bigger). That's the largest cable I could get into the trailer plug and it'll help reduce any voltage drop to the electric brakes. 2/ The camper has no reversing lights so the 5 way cable from the trailer plug was replaced with 7 way so I can add some LED units later. 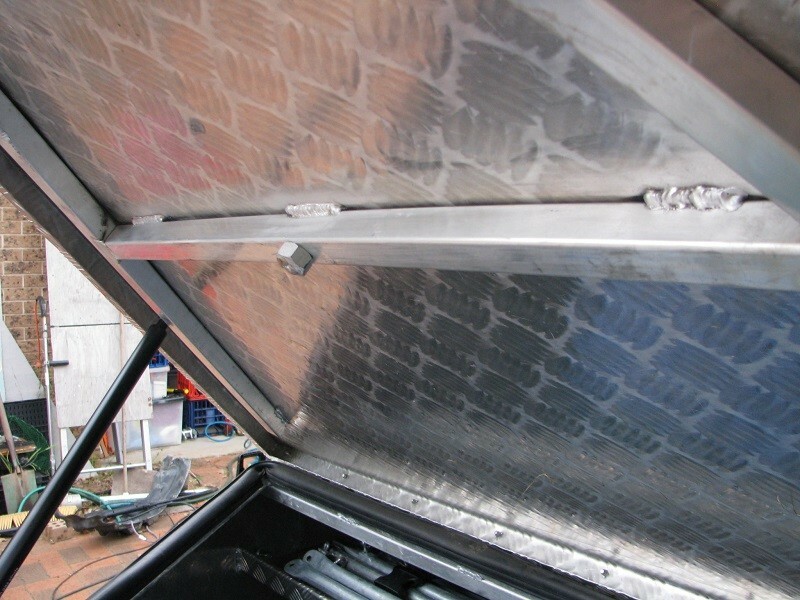 All the camper underfloor cabling is sleeved with the split tube conduit stuff that is commonly available from auto accessory shops but Johnnos thoughtfully fitted some cable management to the underside. Unfortunately it either only fits a couple of cables or is only available on one side of the trailer only. Good idea though. It is interesting reading your posts as I too have faced similar issues (having the same trailer). During a trip up North I found that every switch on the camper had failed (primarily due to the dust and the fact they are all exposed) and found that the overall quality of the wiring was less than desirable. When I say every switch I mean every switch even those within the battery box at the rear. 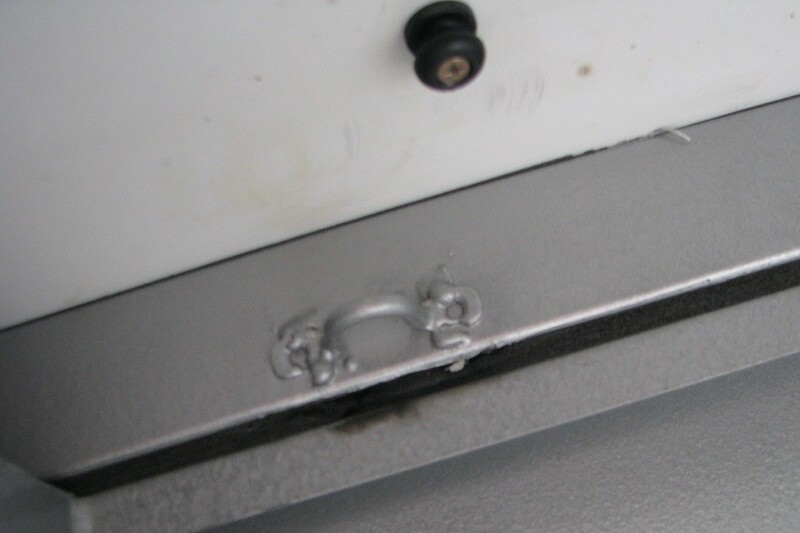 The only power I had (luckily) was the fridge as the plugs and sockets were contained within the trailer (next to the fridge slide)so did not suffer the same fate! Without the hand pump I would have had to siphon water out of the tanks. Upon returning I decided to replace and rewire everything in the electrical compartment and then completely seal it... During this process I added a DC-DC charger, fuse blocks, battery monitor and a raft of other goodies.. Next on the list is to move all switches elsewhere on the CT with the externals facing the elements into the CT and then seal all holes / gaps etc.. I'll post some pics of work to date shortly. I do plan to fit the sleeves over all the exposed wiring and address all the holes (perhaps I'll just use sikaflex or silicone for ease?)... 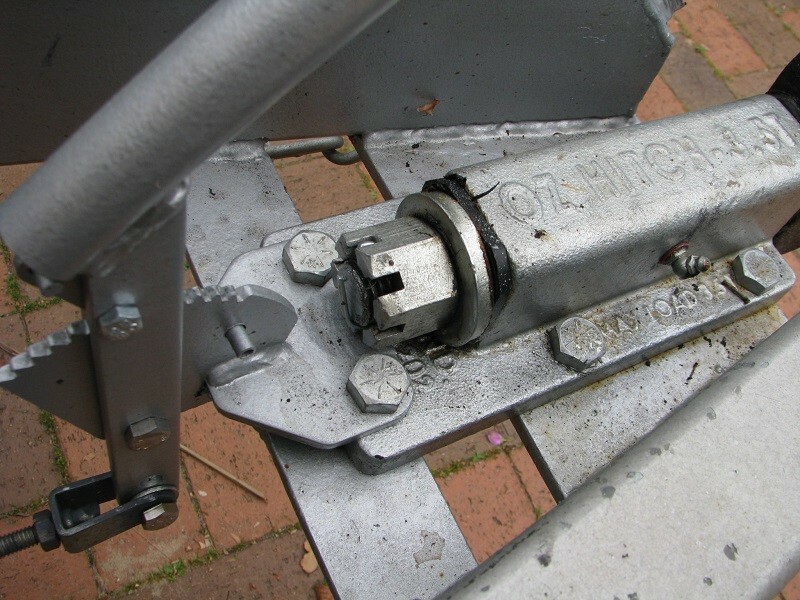 but not sure if it is worth completely replacing the wiring, did you find any major problems with the wiring underneath the trailer? 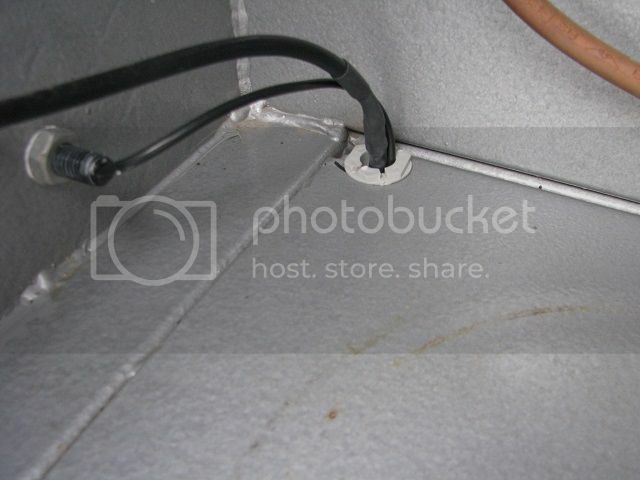 Just out of curiosity how did you seal all the wiring running underneath into the electrical compartment?